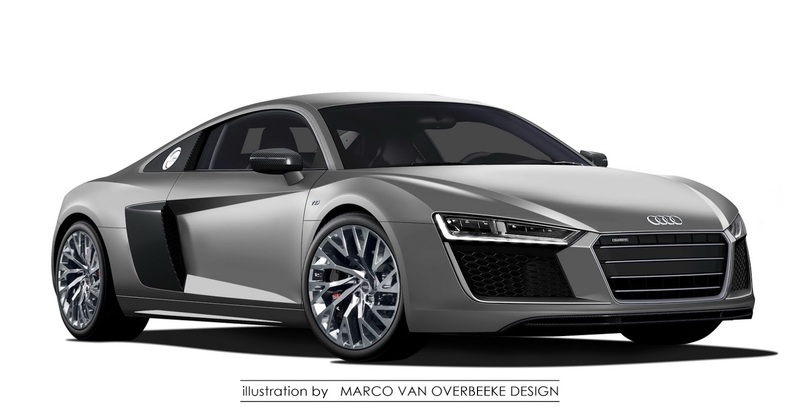 It has been confirmed that the next-generation 2016 Audi R8 will debut at the Geneva Motor Show 2015 in early March. Additionally, the production-spec all-electric Audi R8 e-tron could also be introduced at the same time. Beyond the electric version, the next-gen Audi R8 will be available with both a 4.2-litre V8 and a 5.2-litre V10 with the latter unit borrowed from the Lamborghini Huracan. Elsewhere, the next-generation Audi R8 will be built around the same carbon fibre and aluminium chassis but feature a longer wheelbase and slightly wider track. Interestingly, Audi is said to have decided on ditching the manual transmission of the current car and instead offering the R8 supercar solely with an uprated variant of the current car’s S tronic seven-speed automatic transmission.